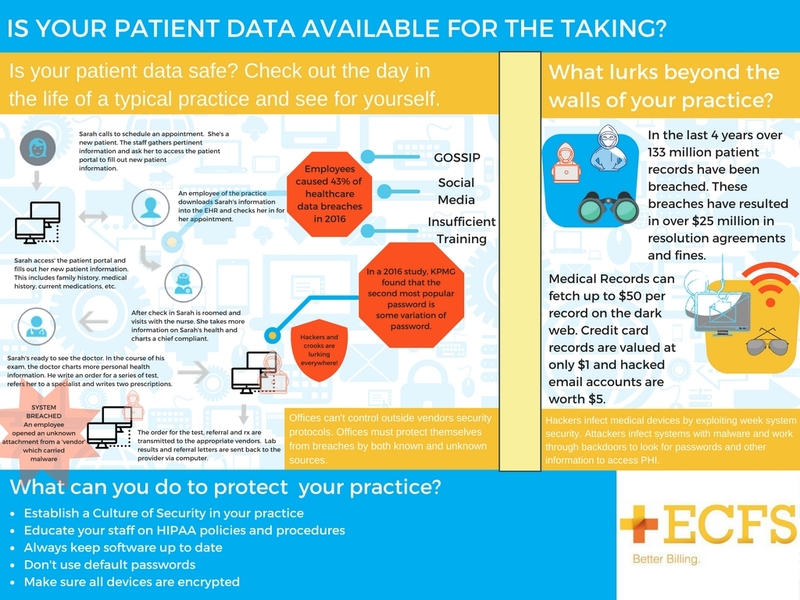 We partner with your practice for complete compliance and security . From training to support we are here to help step by step. How safe is your office from hackers, vulnerable equipment and software or untrained employees? Click on the info-graphic and see a typical patient visit and the life cycle of patient information. Download our 15 minute risk level evaluation and get immediate response on how compliant you office is, where you need improvement and what you can do to improve efficiency. Check out our free eBook on HIPAA automation and compliance!